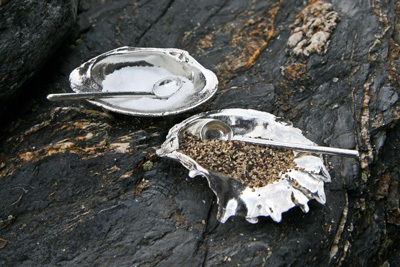 Pewter Sky's hand-crafted pewter designs are inspired by the coast. Our range of homewares is as useful as it is beautiful. It includes ﻿salt & pepper sets﻿, bowls and candle holders. 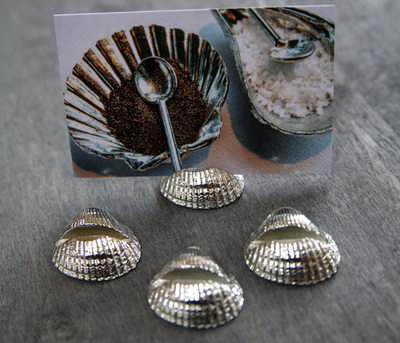 We also create decorative items, which we hand cast from unique shells picked up on our travels. Pewter Sky products are made of lead-free, easy-care pewter. They are solid and weighty, with all the beauty of silver but none of the maintenance. Pewter tableware can be used every day, at every meal -- it is a practical, hard-wearing metal that looks good even after years of enjoyment. 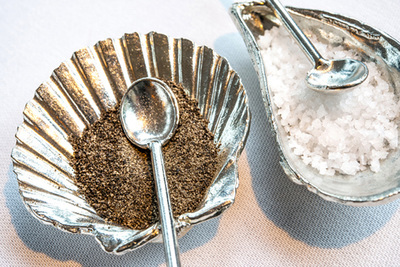 In fact, our pewter items are in daily use in fine restaurants such as The Dining Room and Tremenheere Kitchen. 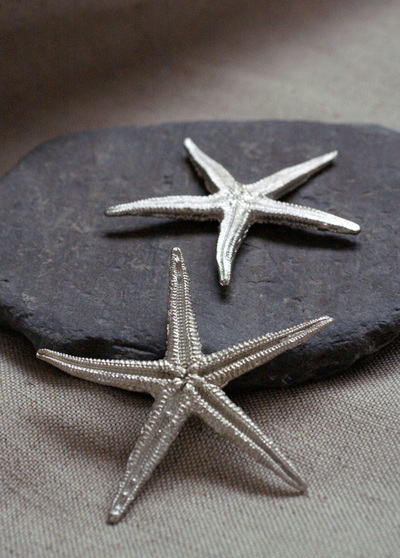 Pewter Sky's handmade pewter will enhance any home, from a seaside cottage to a country house. 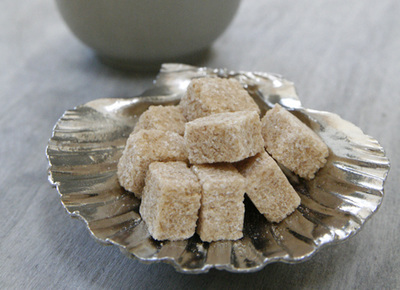 Whether you are planning a picnic or a formal event, you will find Pewter Sky tableware to fit the occasion -- in fact, brides love to use our pieces as part of their coastal wedding decor. Pewter Sky homewares also make the perfect 10th anniversary present. A 10-year anniversary is traditionally celebrated with tin and since modern pewter is more than 90% tin, it makes the ideal contemporary gift. And because our pewter homewares will last a lifetime, a Pewter Sky gift is a wonderful way to commemorate any important occasion, whether it is a wedding or a birthday. 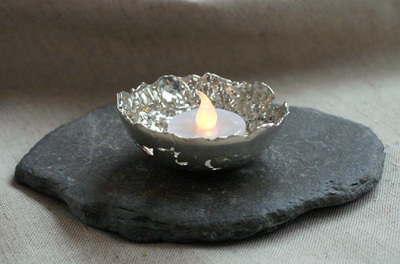 All Pewter Sky products are hand cast and hand finished in our Cornish workshop. Our homewares are sold in fine shops and galleries and also through our online shop. We occasionally take part in selected craft and gift fairs, where you can meet us and see our latest work. Please visit our Stockists page for details of our partner shops and galleries.